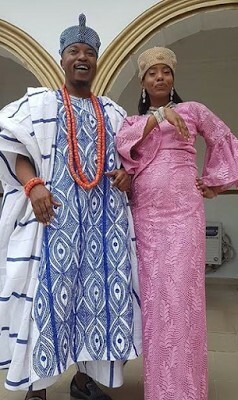 Oluwo of Iwo's Beautiful Wife Delivers Baby Boy... Oba names him "Oduduwa"
The Oluwo of Iwoland, Ọba (Dr) Abdul Rasheed Adewale Akanbi Telu 1, has been blessed with a new Prince. The Queen gave birth at a hospital in Canada yesterday 16th November, 2016. Both mother and child are said to be doing very well. The king said the new Prince shall be known as "Odùduwà" because the Prince was born on a special day of November. 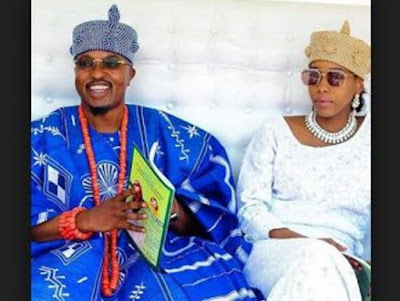 The king also said the major reason he named the new Prince 'Oduduwa' is because of the revelation that was revealed to him when the Queen's was pregnant. He didn't want people to keep believing in Oduduwa as an Idol but a legend of Yoruba Kingdom. The Oluwo's coronation was on 16th January and a new Prince was born on 16th November, 2016. Congrats to the Oba and﻿ his Olori!